I bought this hat at a thrift store years ago and have always loved it. It had this tag in it. I decided to write up the pattern and offer it out there in case anyone wanted to try it. It’s super simple. 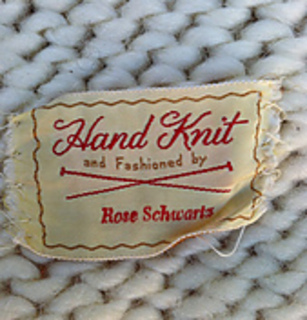 but some sweet woman named Rose Schwartz took the time to make it and add her adorable little label to it. I was going through some fashion shots I did for a model from Elite Model Management in Chicago and there was Rose’s hat. 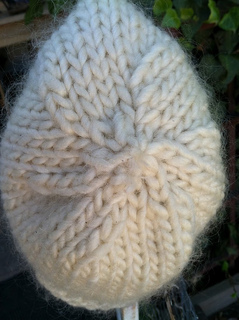 The hardest part about making this hat is using the Double Pointed Needles if you haven’t yet. 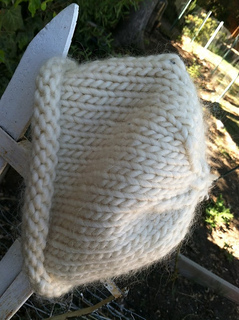 Look on youtube for instructions on how to use DPN’s. You could probably whip this up during one episode of your favorite show!